Please have a look at the pools swimmers like you've got reported near Toronto. Please, report any Toronto Pool not listed here. 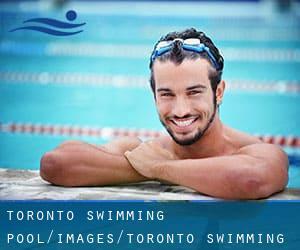 Please contact the sports centre in Toronto to check which activities are being provided and their timetables, since varieties of Toronto Swimming Pool might have different rules and fares than other places. Are you on holiday and want to keep fit and healthy? Swimia.com delivers you the easy and quickest strategy to discover Aquagym in Toronto near your current location. The finest choice for the duration of your visit to Toronto is going to be droping by a Toronto Pool. Regular users of the following varieties of Toronto Swimming Pool told us probably the most important factor about swimming is to control your breathing. In some cases this is not attainable because we raise the neck to breathe along with the body is just not aligned. To avoid this, our head needs to be aligned with our spine all the time. We almost certainly don't know all of the Pools in Toronto. Are you missing any? Contact us!. There are various reasons why you should choose a heated swimming pool in Toronto. Probably the most important one relies on the importance of keeping the body temperature stable. When the water is too cold, your body will try to warm it up and you will lose strength to swim properly. One on the advantages of outdoor swimming in Toronto will be the possibility to sunbathe for the duration of the summer season. Taking it with added care, sunbathing is healthy considering that introduces Vitamin D into the body, so the very best option seems to be switching between indoor and outdoor pools based on the season. There are a lot of alternative treatments to chlorination, with fantastic advantages that ensure far better water top quality in the pool. A single possibility is the mineralizer, which purifies water naturally and considerably decreases the chemicals utilized and maintenance time. Try Chlorine No cost pools in Toronto. If you're tired of having eyes and irritated skin, getting a saltwater pool in Toronto is often the resolution. You should know that the degree of salt from these pools is well below the level of salt from sea water, specifically they are talking about a tenth or less. Enjoy the best indoor pools in Toronto and don't worry about the weather. These facilities are open all seasons and you can enjoy a swim at the same temperature every day of the year. Updated on 2019 318 Wellington Street West , Toronto , Toronto - Toronto / East York , ON , CANADA (Postal Code: M5V 3T4). Swimmers like you reported 18 meters, Indoors. Unfortunately we do not have the email address of this Swimming Pool, but we can give you the phone number. Updated on 2019 100 Front St. West , Toronto , Toronto - Toronto / East York , ON , CANADA (Postal Code: M5J 1E3). This sports centre offers 50 feet, 3.5f - 4 feet depth, Indoors. Contact information for this Pool such as phone number and e-mail address are number. 1555 Midland Avenue , Toronto - Scarborough , ON , CANADA (Postal Code: M1P 3C1). Swimmers like you reported 25 meters, Indoors. Unfortunately we do not have the email address of this Swimming Pool, but we can give you the phone number. Updated on 2019 7 Hart House Circle , Toronto , Toronto - Toronto / East York , ON , CANADA (Postal Code: M5S 1A2). This sports centre offers 25 yards, 4 lanes, 6 feet - 7 feet depth, Indoors. Contact information for this Pool such as phone number and e-mail address are number. Updated on 2019 1451 Avenue Rd. , Toronto , Toronto - Toronto / East York , ON , CANADA (Postal Code: M5N 2HN). Among all of the activities offered by the centre, if you are interested in swimming you might get pleasure from 25 meters, 6 lanes, Indoors. 2350 Bayview Avenue , Toronto - North York , ON , CANADA (Postal Code: M2L 1E4). Among all the activities provided by the centre, if you are interested in swimming you can delight in 25 yards, Indoors. Just in case you need to make contact with this Pool before dropping by, we only know the phone number. Updated on 2019 123 Queen St. West , Toronto , Toronto - Toronto / East York , ON , CANADA (Postal Code: M5H 2M9). Swimmers like you reported 25 yards, 4 striped lanes, Salt Water, Non-Chlorine Sanitized, Indoors, Outdoors. Unfortunately we do not have the email address of this Swimming Pool, but we can give you the phone number. Updated on 2019 843 Palmerston Avenue , Toronto , Toronto - Toronto / East York , ON , CANADA (Postal Code: M6H 4C3). This sports centre gives 20 yards, 4 lanes, Indoors. For this Swimming Pool, only phone number is number here. Updated on 2019 145 Richmond St. W. , Toronto , Toronto - Toronto / East York , ON , CANADA (Postal Code: M5H 2L2). Swimmers like you reported 25 yards x 20 feet, Indoor/Outdoor. Unfortunately we do not have the email address of this Pool, but we can give you the phone number. Updated on 2019 93 Birchmount Road , Toronto - Scarborough , ON , CANADA (Postal Code: M1N 3J7). This sports centre offers 25 meters, 6 lanes, Indoors. For this Swimming Pool, only phone number is number here. 44 Montgomery Road , Etobicoke , Toronto - Etobicoke York , ON , CANADA (Postal Code: M8X 1Z4). Swimmers like you reported 25 meters, 6 lanes, Indoors. Unfortunately we do not have the email address of this Swimming Pool, but we can give you the phone number. 150 Sherbourne St. , Toronto , Toronto - Toronto / East York , ON , CANADA (Postal Code: M5A 2R6). This sports centre delivers 25 meters, Indoors. For this Swimming Pool, only phone number is number here. 145 Guildwood Parkway , Toronto - Scarborough , ON , CANADA (Postal Code: M1E 1P5). Swimmers like you reported 25 meters, Indoors. Unfortunately we do not have the email address of this Swimming Pool, but we can provide you with the phone number. Updated on 2019 29 St. Dennis Dr. , Toronto - North York , ON , CANADA (Postal Code: M3C 3J3). Among all of the activities offered by the centre, if you are considering swimming you will get pleasure from 25 meters, 4 lanes, Indoors. Just in case you desire to contact this Swimming Pool prior to dropping by, we only know the phone number. 56 Woodfield Rd. , Toronto , Toronto - Toronto / East York , ON , CANADA (Postal Code: M4K 1L4). Swimmers like you reported 22 meters, Indoors. Unfortunately we do not have the email address of this Swimming Pool, but we can provide you with the phone number.